A new pedestrian trail tunnel was constructed under the BNSF rail line in south Fort Collins, adjacent to both Redtail Grove Natural Areas. 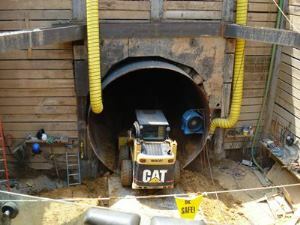 The 70-feet long, 170-inch diameter tunnel was bored under the BNSF railroad using a steel pipe casing, large hydraulic jacks and excavation equipment. Additionally, two horizontally arched concrete retaining walls were constructed at the ends of the tunnel, 23 feet tall and 93 feet long. The project began in July 2016 and was completed in early 2017. 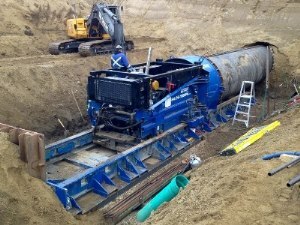 The City of Fort Collins Park Planning & Development Department has partnered with Utilities to construct this tunnel project. 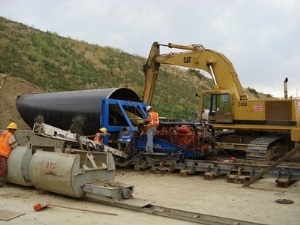 The Capital Projects group uses the APDS program and has previous experience with constructing tunneling projects of this type. 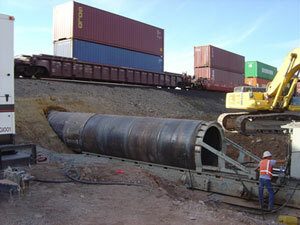 See the current Michigan Ditch Tunnel project. 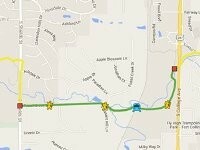 Completion of the tunnel will allow the future connection of the Fossil Creek Trail from College Avenue to Shields Street. 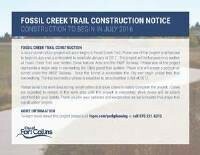 Connecting and completing the Fossil Creek Trail is the public’s number one priority in the City’s trail system.